Check out the latest preservation news from MPA as we wind down on some of our Summer 2018 projects. 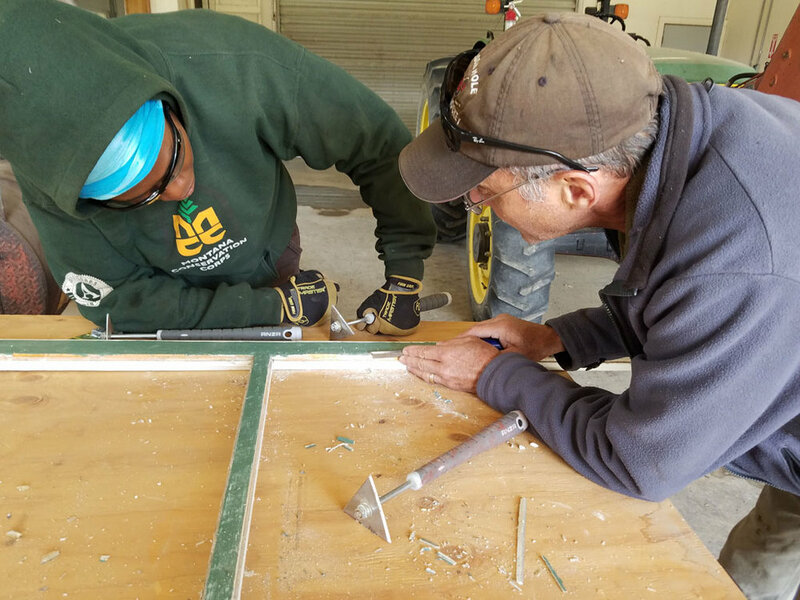 MPA Restoration Director Dustin Kalanick and preservation carpenters put on three excellent window restoration workshops in June. 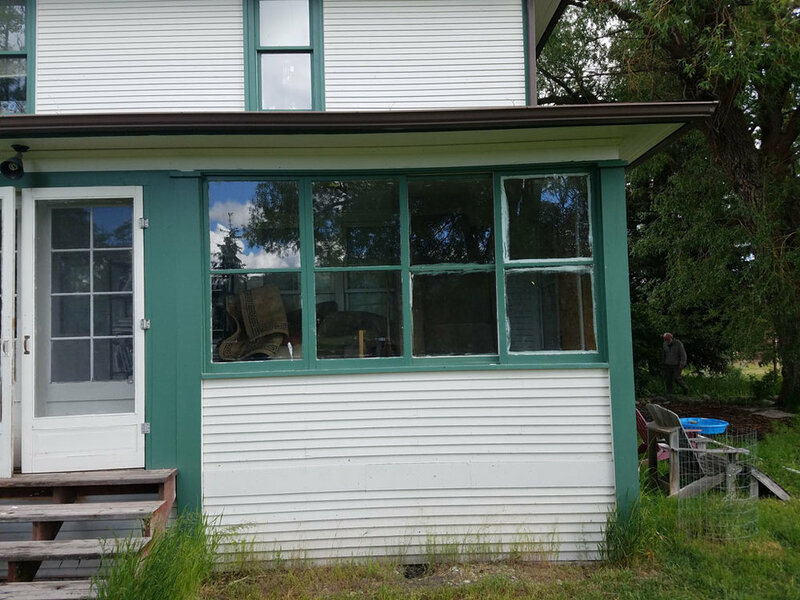 Along with 35 participants they restored 14 historic windows, four doors, and scratch-built four new windows. The first workshop was at the US Fish & Wildlife Service’s Lost Trail Wildlife Refuge with Montana Conservation Corps members. The one-day workshop taught this young crew hands-on traditional skills while restoring historic wood windows on the porch of the Jackson Ranch house. The Jackson Ranch is part of the historic homestead still remaining on the refuge property. Another public one-day workshop was held during the Montana Preservation Road Show in Columbia Falls. Kalanick, preservation experts Cathy Bickenheuser and Jackson Poppin from the US Forest Service Region 1 Preservation Team, and Chuck Manning of the Northwest Montana Chapter of the Forest Fire Lookout Association helped direct a day-long hands-on workshop that restored windows from a local historic lookout tower. The following week, back at the Jackson Ranch in Marion, MPA’s Kalanick, Al Williams and Erin Gibbs of Preservation Services LLC, and Pete Brown of the Montana State Historic Preservation Office led a weeklong workshop for carpenters and maintenance crews from all over the country. 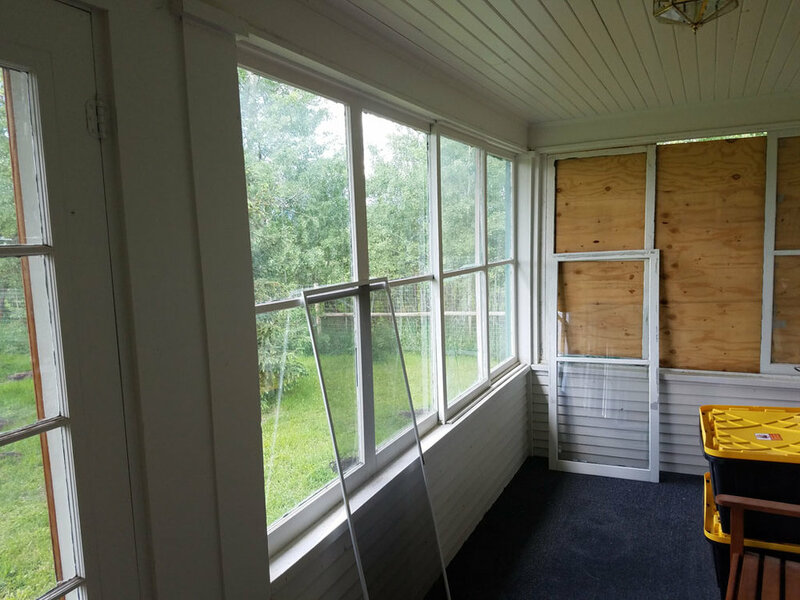 During the three workshops participants learned how to safely remove wood windows, best practices for glazing removal and replacement, glass replacement, joinery repair and reconstruction, and paint removal. Both trainings achieved the dual goal of teaching best practices for historic building stewardship, while preserving a piece of Montana history for all to enjoy. Many thanks to our sponsors the Montana History Foundation, US Fish & Wildlife Service, and the Historic Preservation Education Foundation. Along with dedicated volunteers, MPA has completed field inventory of standing schoolhouses in 12 counties, and 11 more counties are underway! We are actively looking for volunteers and history lovers in the Missoula, Bozeman, and Billings areas to help locate, document, and research schoolhouses. As information is collected, MPA plans to share schoolhouse photos and history through Google Maps. Visit Big Sky Schoolhouse Survey on our website for more information or to volunteer, email madeline@preservemontana.org. MPA staff, colleagues, and volunteers have worked for the last year to research and write about Montana’s rural, off-the-beaten-path historic sites for the new Path Less Traveled Guide to Montana’s Hidden Heritage, set to launch online this fall. Thanks to a cooperative grant from FS Region 1 Heritage program, the site will guide visitors via Google Maps to 100 of Montana’s lesser known historic sites hidden in our uncrowded, humble, and genuine rural towns and backcountry areas. Stay tuned! MPA Restoration Architect Dustin Kalanick is working with SMA Architects of Helena to evaluate preservation and financial feasibility options for the Deer Lodge Hotel in Deer Lodge and the 7th Avenue Gym at Central School in Helena. Both buildings are vacant and in need of need of major repair. Building on prior research, these projects will include community interviews, cost analysis and building concepts, and recommendations for redevelopment. Both projects were made possible in part with funding from the MT Department of Commerce’s Big Sky Trust Fund. The OTO Lodge got a new roof with help from MPA and University of Pennsylvania students in 2013. Working with the Custer Gallatin National Forest, MPA has created a walking tour brochure for visitors to the OTO Ranch, Montana’s first dude ranch, near Corwin Springs. The Custer Gallatin National Forest heritage staff and many volunteers have worked diligently to preserve the main lodge and outbuildings over the past 10 years. Using the brochure, visitors to the OTO can learn about the architecture of the ranch, and the important role dude ranching played in sustaining Montana ranchers through the lean years between 1920 and 1950. The next step in this project will create a master interpretive plan and a design for a welcome sign at the trailhead. Take a trip to the OTO soon or see a sneak peek of the OTO brochure.